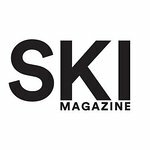 Founded in 1936, SKI is the biggest, and most recognized, media brand for the mainstream American skier. Tune in for intel on where to ski this season! This season's most stoke-inspiring images from the pages of SKI Magazine in review. Top-shelf night skiing, proper Alyeska steep-and-deep backcountry, views galore and tram that is imperturbable by coastal storms. Pretend you're the fastest skier in the world or just get down these world-famous runs.